Two world premieres by Olli Virtaperko will take place in the summer season. Fantasia ”Liberazione” for harpsichod in meantone temperament will be premiered by Marianna Henriksson on 17 June in Helsinki, and the consort song Hämäläisten jumalat will be premiered in Avantin Suvisoitto on 27 June by soprano Tuuli Lindeberg & Avanti Viol Consort. Writing music for early music instruments is a special feature in Olli Virtaperko’s oeuvre. Being a Baroque cellist and a viol player himself, Virtaperko has written a large body of music for early music instruments, ranging from Renaissance recorders to viol consort and Baroque orchestra. Of the two upcoming premieres, Fantasia ”Liberazione” for solo harpsichord explores the harmonic possibilities of meantone temperament while the consort song Hämäläisten jumalat to the text of Mikael Agricola, the Reformist and literary founder of standard Finnish language (1510-1557), mixes traditional viol consort virtues with experimental vocal and viol techniques. ”For the last for four years I have been focusing almost exclusively on orchestral music and concertos. It has been my wish that this year (2018) I could concentrate on chamber music, and I’m very pleased to have had the opportunity to write these two works for the specialists of early music. 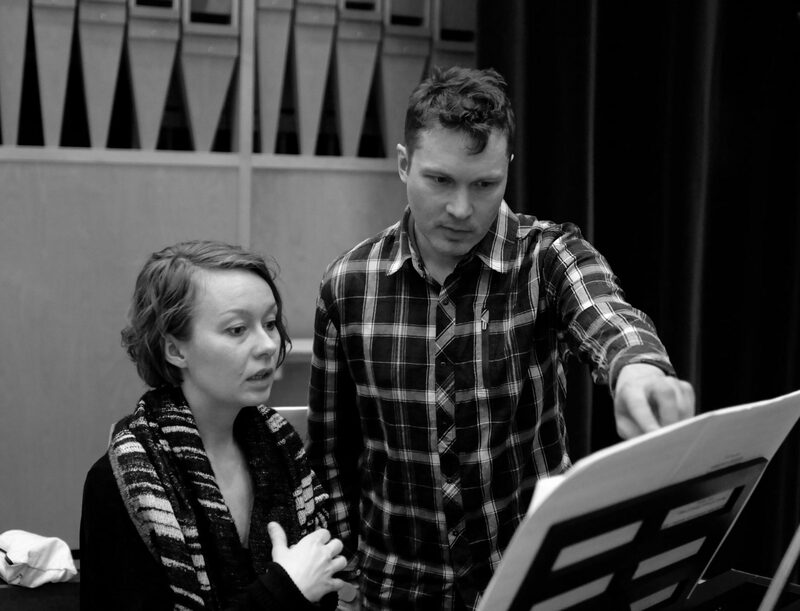 I have worked with the harpsichordist Marianna Henriksson for over a decade. She is definitely one of the musicians most familiar with my music and its aesthetics. During these years our collaboration has been extremely fruitful and I’m looking very forward to her approach of Fantasia ”Liberazione”, a solo harpsichord work in meantone temprament. 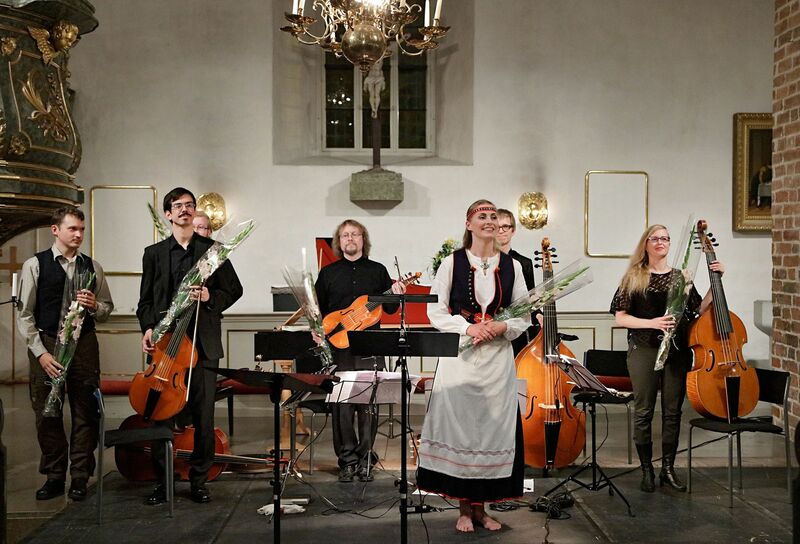 The Avanti commission for soprano Tuuli Lindeberg and Avanti Viol Consort to the text of Mikael Agricola has been another fascinating challege. The text I choose is from Agricola’s translation of the Psalms (Daudin psalttari, 1551). In addition to translating the biblical text, Agricola added some additional content to the publication – two prose prefaces and the epilogue, where he lists the Finnish pagan gods of the Häme and Karelia regions. The epilogue has two narrative levels, one where Agricola dispassionately lists the gods and explains their functions in the rural pagan society, and the other where he fiercely attacs the pagans and their religious habits. To transform this rhetoric dicotomy into musical language was the key issue in the compositional process. In the piece the dual nature of Agrocola’s text is realized by placing a traditionally idiomatic consort song texture in conflict with extented vocal techniques, string harmonics and slide pizzicato techniques of the treble viol. Sunday 17 June 2018 in Zodiac – Center for new dance, 17:00 hrs, Helsinki, Finland. Marianna Henriksson, harpschord. Wednesday 27 June 2018 in Pernaja Church, 19:00 hrs, Pernaja, Finland. Tuuli Lindeberg & Avanti Viol Consort.